This Segway MiniLite is NOT a hover board…..it is so much more! A hover board is basically an articulated platform with a separate motor for each wheel that can be controlled independently depending on whether you tilt each half of the platform forward or backward. They are difficult to ride, require quite a bit of balance and agility and are quite unstable. This is a true gyroscopically balanced and controlled Segway, just a scaled down version, which makes it perfect for kids! It is much safer, much better designed, much more stable, it runs longer it goes faster than your average hover board. The 10.5” air-filled tires and 1400 watts of engine power, enables the MiniLite to overcome slopes, debris, and other everyday obstacles your rider might encounter. Your tweens can learn to ride in minutes with precision sensors and an intuitive knee control bar. The MiniLite reaches top speeds of up to 10 MPH and it covers distances of up to 11 miles on a single charge! In this hilarious Pencil Nose party game, players have to use their sniffers to try and sketch the prompt and then hope their teammates can correctly guess what they’re drawing. On your turn, draw a card and slide it into the slot on top of the drawing board so only you can see it. Then, with the special glasses and the “Pencil Nose” equipped, try to draw the object onto the clear screen of the board – USING ONLY YOUR NOSE! Can you draw a trout with your snout? How about a rose with your nose? After each correct guess by your teammates, pick another card and keep drawing as fast as you can – Your goal is to get as many correct guesses as possible before the time runs out. Whichever team gets the most guesses in one round gets one point. The first team to win 7 points wins the game! Give your family a whiff of game-night excitement that’s not to be sneezed at with the wonderfully silly Pencil Nose game. This Disgusting n’ Gross Science Activity and Experiment Set is made for curious kids! Inspiring young children to learn has never been more fun with this fun. Zombie farts, levitating eyeballs, boogers and more! It allows kids to learn about gels and cross-linked polymers using biology and gruesome special effects! This STEM set challenges the child’s mind as they work through the detailed easy-to-follow instruction guide, learning about classroom subjects in a fun way. It includes the materials to do several experiments. The fact-filled colorful lab guide is full of pictures and information giving kids hours of fun in their own home made science lab! Kids of all ages, tweens and teens will have a blast with this Wicked Big Sports Paddle Battle Game. Wicked Big Sports combines traditional sports and games with oversized fun and I love that your kids can set this up anywhere where there is a hard surface! Each game features classic play with extra-large elements. The Wicked Big Sports products are portable and versatile – play at in your backyard at the park or take it on your next road trip! Whether or not you are wicked skilled, or wicked competitive, you better be ready to have a wicked good time! Wicked Big Sports Paddle Battle takes traditional Ping Pong to the next level! It brings the favorite game of Pickel Ball to your backyard and the perfect on the go game for your beach, park, and vacation trips. This set includes 2 giant paddles, 1 ball, 1 net, 4 polls, 2 connectors and 2 weighted support bases. This 6×6 feet MONSTER Rocket Back EZ Goal Rebounder is the ultimate throwback practice net used by the pros. Use one net to train for a variety of sports! It is great for soccer, lacrosse, baseball or football practice. If you are training baseball, the center target helps improve aim and speed. Throw and catch the ball for hours by yourself! Just tilt it forward to stop the ball when you don’t want it to rebound back. If you are a lacrosse player, the center target helps improve your aim. Rebounds the ball back – chase less, practice more! Soccer players can practice passing, shooting, trapping and heading. The ball rockets back at game speed! It is built to last. The commercial-grade steel frame and Hi UV-protected netting, won’t deteriorate in the elements. This heavy-duty steel Monster features a rock solid folding system – folds down flat for storage. Your tweens will love this new way to build! GraviTrax is an interactive track system where you can design and build your own marble runs. This STEM toy for boys and girls 8 and up, encourages experimenting with gravity, magnetism, and kinetics to propel your marble to the finish. With over 100 pieces and 18 different construction elements, the GraviTrax Starter Set offers everything you need to begin building your own action-packed marble run. Discover how the laws of physics affect the journey your marble takes with curves, junctions, freefalls and even a cannon. Experiment using different heights and angles to control the speed of the marble to get it to the finish. There are also lots of Gravitrax expansion sets so you can create larger runs! My kids adore Harry Potter and this is one of the coolest lego sets! Your kids can help Harry and Ron race to Hogwarts in this action-packed LEGO Harry Potter Hogwarts whomping Willow set, as seen in Harry Potter and the Chamber of Secrets. Fly the Ford Anglia into the spinning branches of the whomping Willow, then help the young wizards escape to join Hermione at Hogwarts, featuring a Dormitory, potions classroom, Professor Snape’s office and an owlery. This fantastic Harry Potter building kit includes 6 mini figures and a Hedwig owl figure. Older tweens will love this cool Catapults and Crossbows building kit! It’s time to get medieval on physics! Build ten sleek and updated models of catapults and crossbows. These classic siege weapons from the middle ages also happen to be great tools for teaching physics, including lessons in force, energy, motion, and projectiles. A crossbow is a medieval type of weapon based on a bow and arrow, in which the bow is mounted horizontally on a stock. Build and experiment with five different types of crossbows. The projectile, called the bolt, has a safe foam tip and a special cross-section that prevents other projectiles from being launched. When the bolt is loaded into the crossbow, a rubber band is pulled backward and energy is stored in the stretched rubber band. A trigger releases the bolt and the rubber band launches it through the air toward its target. A catapult is another medieval ballistic device that uses mechanical rubber bands and counterweights to fling projectiles into the air. The 32-page, full-color manual has illustrated step-by-step instructions. This highly-reviewed, Rubik’s Race is a fun challenge for tweens and they will love trying to improve their speed. It is a fast paced game for two players to get their brains and fingers racing. Shake the scrambler and go head to head with your opponent to shift and slide the tiles to be the first to make the 3×3 center match the pattern. It sounds easy, but the Rubik’s Race is a real game of skill, speed and dexterity. Challenge your friends and family to a Rubik’s Race! This is one of the hottest gifts of the year and your tweens will love playing the same games you played as a kid like Mario, Zelda and more. The Nintendo Switch can be played right on the console or it can hook up to your TV. It is a great gaming system to take on-the-go. Cozmo’s a supercomputer and loyal sidekick all at once. Thanks to artificial intelligence, Cozmo can express hundreds of emotions. From curious to clever, persistent to playful, he has personality x 10. He knows your name, face, and quirks. And best of all, he continues to evolve the more you hang out. Cozmo is a game-playing machine. Literally. Whether lifting his Power Cubes or challenging you to games like Quick Tap and Keepaway, he’s always up for action. He is equipped with Code Lab, the perfect platform for new coders to unlock their imaginations. Fans of Rush Hour will enjoy the leap from linear to 3-dimensional in this dramatic crate Tipover game. After setting up the game board according to pictures on each challenge card, players must create a path to the red crate by tipping over the blue, yellow, and green crates. But there’s a catch. You have to get your Tipper there without jumping over crates or allowing him to touch the game board. Tipover introduces players to spatial relationships and the laws of cause and effect. This highly-reviewed game makes a great gift idea for tween boys. Bean Bag Bucketz is a challenging, yet easy-to-learn, outdoor or indoor game that your tweens will love. This game premiered at this year’s toy show and kids of all ages will enjoy this fun game. It is the hottest new social game for beach goers, parties, backyard play, camping, basements and this will be at the top of summer wish lists. Bean Bag Bucketz is fast-paced, interactive team game that is easy to learn. Consisting of a game tower with 7 bucketz, 16 bean bags and carry bag. B3 is fun…if you have 2 or more players, create teams, take turns throwing into the bucketz. There are many ways to play with B3…the primary game begins with bags being tossed at the bucketz ranging in points from 1 to 4 pts. The first team to score 21 points wins the game. 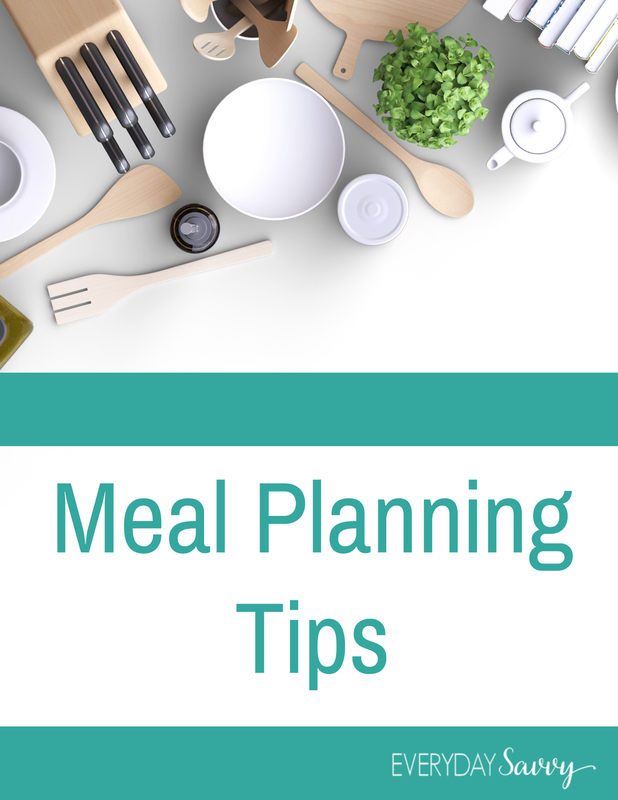 After game time is over, you can easily fold down the tower and pack it all away in the included carry bag to take it on the go or to store it away for next time. I have a son at home that doesn’t enjoy reading all that much, but he does love these sports-themed Tim Green Books. You can buy them individually and most of them are under $10. These fun readers are perfect for tween boys and the engaging stories will encourage them to read. My boys can’t wait to read the newest ones! If your older tweens love building projects, then they will love the challenge of building these K’nex Thrill Rides sets. They come with real moving parts. They support key areas of a child’s developmental growth. As they click the different parts together and discover how the building system works, they’re strengthening hand-eye coordination, fine motor skills, problem-solving skills, spatial awareness and exercising their imagination! There are several sets to choose from in all price ranges. If you have several tweens and kids at home, this would be a fun project to do on a snow day! Your tweens will love learning to code their own Marvel-themed mini robot with this highly-reviewed, Marvel Starter Pack for Ozobot Bit. Getting started is simple: pull out your markers and draw lines and color codes. Then watch your Hero bring your drawings to life. Use color codes to complete over 20 drawing activities and keep Spidey out of trouble, learning the basics of coding as you go! There are over 20 Marvel-themed STEAM activities your tweens can attempt. This is the robot for future artists, engineers, and everyone in between, now including Spider-Man fans! Strategy games are so engaging for tweens and this highly-reviewed Splendor Game would make a great gift. As a wealthy Renaissance merchant, acquire mines and transportation, hire artisans and woo the nobility. Create the most fantastic jewelry to become the best-known merchant of them all! Acquire precious stones to trade them for development cards. Use development cards to acquire more gem stones. Use your gems and gold to create the most fantastic jewelry, and appeal to the nobles to gain the prestige you need to win. If your tween boys love to play baseball in the yard, this high-quality plastic Easton Pro Stix Training Bat and Electric Athletics Lightening Balls Set are perfect to avoid those broken windows. These incredibly durable training baseballs are packed with features to improve your game. They collapse on impact to provide players with a feel for where contact is made, but will never dent or crack. Their indestructible long-lasting design makes them a perfect choice for intense, team use and strong, powerful batters. The limited-flight design makes Lightning Balls a space-friendly choice, and means you can spend more time practicing and less time retrieving balls. Available in a 12-pack of easy-to-see bright white or neon green balls. Electric Athletics Lightning Balls can be used with metal or wooden bats and are great for baseball players of all ages. Your tweens will love this high-quality, unique pool ball. The ball that’s designed to look, feel, and behave like a watermelon in the water. Ideal for all kinds of water games, the Watermelon Ball lets players dribble, kick, bounce, pass, and intercept under water. Just fill with water and get your game on. You tween will love reading their favorite Harry Potter books over and over and these beautifully-illustrated versions make great gifts. These books will make their favorite Harry Potter movies come alive, right on the pages and you will love that your tweens are reading! If your tween is into baseball, this Easton Bat Pack is the perfect way to store their gear. It is roomy for all of his baseball necessities inside and it has holders for bats on the outside for quick access. This bat pack also includes a ventilated compartment for cleats and comes in several cool color combinations. My teen neighbor and his friends can’t get enough of this Spikeball game but this would also be a fun game for active older boys. While you can play this on the lawn at home, this game would also be fun for the beach or to take camping. Spikeball is played 2 on 2 with rules that are similar to volleyball and it is intense and fast-paced! A taut Hula Hoop-sized net is placed at ankle level between a pair of two-player teams. You smack the palm-sized ball down on the net so it ricochets up at your opponents. This game will give your tweens a great workout while they are having so much fun. Get ready for another awesome year of gaming with this ultimate guide to the best games, including a definitive list of the biggest games of the past year and the new ones coming in 2019. Featuring Five Nights at Freddy’s and Hello Neighbor! Game On! 2019, the most comprehensive guide to all the best games, tech, and YouTube stars, features some of the year’s greatest moments, including exclusive interviews with YouTube legends, top streamers, and game developers. A dose of gross helps science make sense and your tween will get a kick out of this game. Totally Gross The Game engages kids to learn and understand all the major scientific disciplines. From biology to chemistry to zoology kids answer questions, learn amazing facts and engage in activities. It’s all in the name of science! Kids and parents will enjoy plenty of laughs answering silly science questions and acting out the Gross Out challenges. This game is for kids ages 8 and up. If you have a tween reader at home, you might want to check out this highly-reviewed and Al Capone series by award-winner Gennifer Choldenko. These captivating books about 12-year old Moose Flanagan and his family will be an exciting read for your tweens. The Al Capone Books by Gennifer Choldenko would one of many gift ideas for tween boys. The Spooner Board Pro is an indoor and outdoor board for learning tricks. We have one at our house and it’s fun for all ages, including tweens, who love to twist, spin and do 360s. My kids love using ours on the carpet or on our tile. Spooner makes it easy to learn skateboarding, snowboarding and surfing tricks all year-round. It helps to improve core strength and stability, leg strength, balance, coordination and gross-motor skills. The Spooner Board Pro is indestructible and made with non-marring polyethylene. The top of the board has raised edges and no-slip grips. There is also a smaller-sized board, but the Pro is sized for tweens and teens. Find out more information or shop for the Spooner Board Pro . Snap Circuits kits have won multiple toy awards and your child will learn to create electronic circuit projects of their own. It so satisfying for kids to create their own working electronics and these kits can be rebuilt over and over! The kits come in a variety of sizes, depending on how many projects you can build. 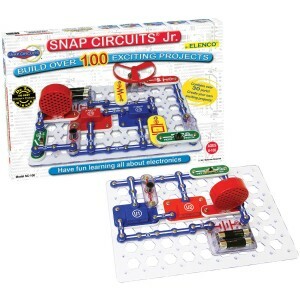 The Snap Circuits Jr Kit is one of the smaller kits, yet your child can create over 100 projects. The Snap Circuits Green Alternative Energy Kit helps your child create green energy projects such as a hand crank, solar cell, water wheel, and so much more. Snap Circuits Extreme is one of the largest kit and your child can create over 750 projects. 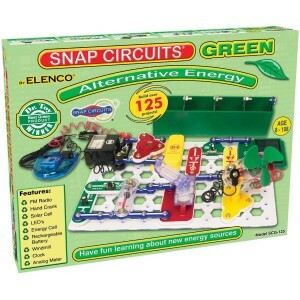 Find out more information and shop for Snap Circuit Kits. Let’s face it, it’s hard to find crafts that tween boys will love. I’m a fan of anything creative and this new Star Wars Origami Book is so neat. This book includes 36 different projects and the cool Star Wars papers to fold are included. There are two papers for each project and there are over 250 pages of instructions. The origami techniques in this book are a bit challenging, so it’s recommended for ages 10 and up. 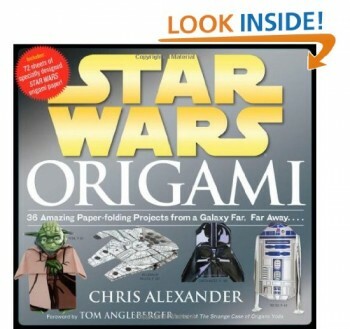 Find out more information and shop for the Star Wars Origami Book . This maze game is an enclosed sphere with tiny mazes inside and will keep your tween busy. Discover the crazy and fun world of Perplexus Epic. Can you make it through a labyrinth of over 125 barriers. Flip, twist and spin Perplexus to move the ball along the numbered path. When you fall off the track (Yes, it will happen.) head back to the start and try again. It is a bendy, trendy, can not put it down challenge. There are multiple levels of difficulty to master. Also challenge yourself with Perplexus Rookie, Perplexus Original and Perplexus Twist. They are all easy to play, but hard to master. This carefully-crafted 3D puzzle has 540 pieces to challenge your tween. No glue is required and this puzzle forms a smooth, solid ball. This set includes a stand to rotate your creation. The puzzle pieces are numbered on the back if you choose to put it together that way or it can be put together by just looking at the image. The recommended age for this puzzle is 10 and up. 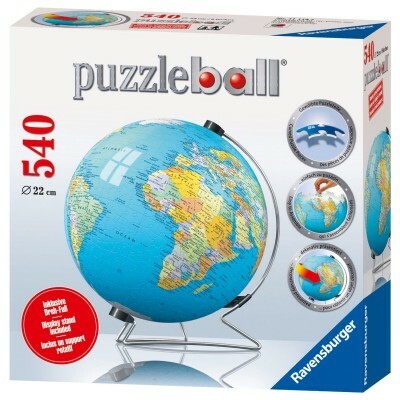 For more information or to shop for the Ravensburger The Earth: 540 Piece Puzzleball . Your tween will love to build and display these cool Lego Speed Champion Kits. Whether they love Mercedes, Ferraris or Ford GTs, there are so many cool models to choose from. This is a fun little project for Lego-loving tweens. These affordable science kits each include one project for your tween scientist and you can collect them all to try out new exciting experiments. 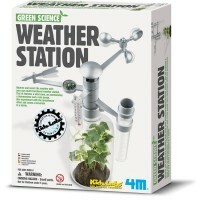 Learn to track the weather and conduct experiments with the greenhouse effect with the 4M Weather Station Kit . 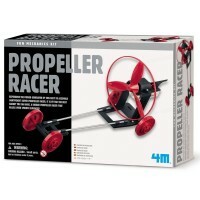 Test out your mechanic skills with the 4M Propeller Racer . 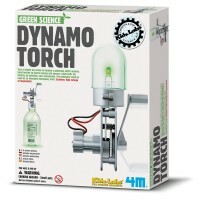 Turn a toy motor into a generator with the 4M Dynamo Torch kit . These kits are perfect for ages 8 and up. For more information or to shop for the 4M Science Kits . If you love this list of gift ideas for tween boys, and you need more gift ideas, then check out our great gift ideas page. We will be adding more gift ideas and holiday shopping tips all month. Be sure to sign up for our free newsletter so all the updates comes right your inbox. Thanks so much for this list! I’ve really been struggling coming up with Christmas ideas this year and you just gave me several. Great list. Thanks again!